Cyceyed is trouble. 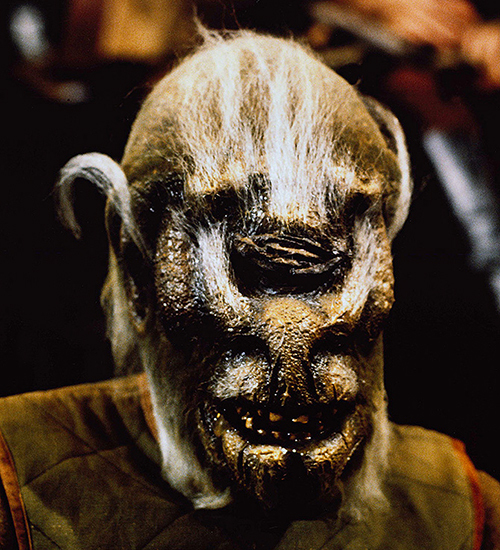 Once, when he pulled a knife on the Shistavanen Wolfman across the table from him in Ackmena’s cantina, Tork the bouncer had to hoist him up and none-too-gently throw him out into the street. 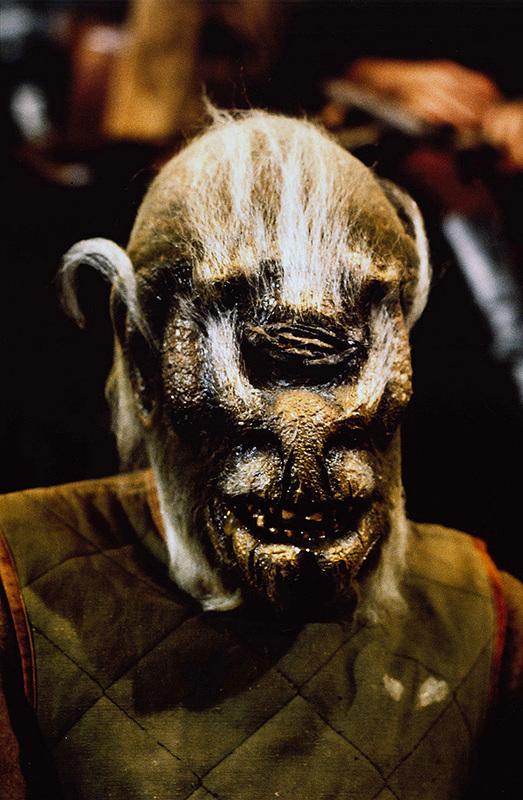 The Abyssin seen in The Star Wars Holiday Special was slightly different from the one later named Myo seen in the cantina in A New Hope. In 1978 the creature was given the name “Cyceyed”, but the name never ended up being used. This seems a perfect enough name for the particular Abyssin we see in The Star Wars Holiday Special.